Can you confirm these amateur observations of Mediodactylus kotschyi? bolkarensis: S Turkey (north of the Bolkar mountains). Diagnosis Definition (Mediodactylus): ““caudal tubercles, six to each annulus, do not form terminal row, but are distributed around middle of each caudal segment; no subfemoral tubercles; dorsal tubercles strongly keeled, trihedral, larger than interspaces; peritoneum unpigmented; 13–23 lamellae under fourth toe; preanal pores only; adults usually less than 55 mm snout-vent length.” (after ANDERSON 1999). Comment Synonymy mostly after RÖSLER 2000. Another synonym might be Cyrtopodion heterocercus mardinensis. 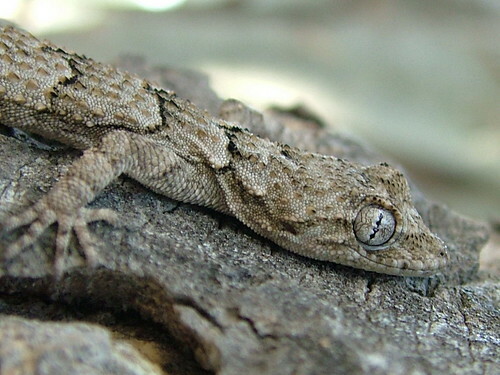 Haas (1951) considered Gymnodactylus geckoides SPIX as a synonym of C. kotschyi. Habitat: mainly stony, dry habitats with scrub vegetation, usually found on the ground among stones and on dry-stone walls (Beutler,1981). Subspecies after KUGE 1993 and RÖSLER 2000. Beutler (1981) classified subspecies into four groups: (a) kotschyi -group,which includes subspecies from mainland Greece,Italy,Albania,FYR of Macedonia, Bulgaria,Cyclades islands,northern Sporades islands, Ionian islands,Kythira,and Antikythira, (b) danilewskii -group,which includes all the Asiatic subspecies, along with C.k.W tzingeri of Cyprus, (c) bartoni -group,which includes C.k.bartoni from Crete and C.k.wettsteini from the islets around Crete,and (d) oertzeni -group, which includes C.k.oertzeni from Kasos,Karpathos and their neighboring islets,C.k.stepaneki and C.k. adelphiensis from the islets between Astypalaia and Karpathos, and C.k.kalypsae from Gavdos island. 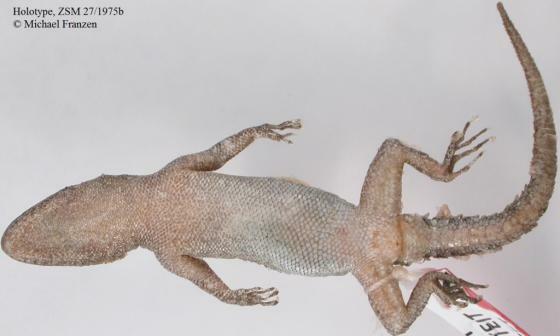 Mediodactylus kotschyi bartoni, M. k. danilewskii, M. k. oertzeni, and M. k. orientalis have been elevated to full species status by KOTSAKIOZI et al. 2018. In general, the placement of the taxonomic classification of the populations on the phylogenetic tree shows that taxonomic classification at the subspecies level is not in very good agreement with the molecular phylogeny derived by KASAPIDIS et al. 2005. 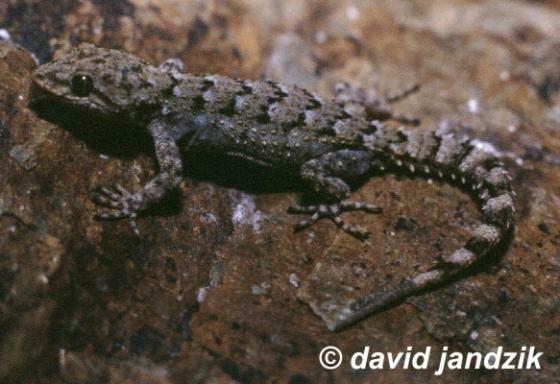 Type species: Gymnodactylus kotschyi STEINDACHNER 1870 is the type species of the genus Mediodactylus. Distribution: listed as questionable/possible for Jordan by DISI et al. 2001. Etymology Named after Theodor Kotschy, botanist. Beutler, A. 1981. 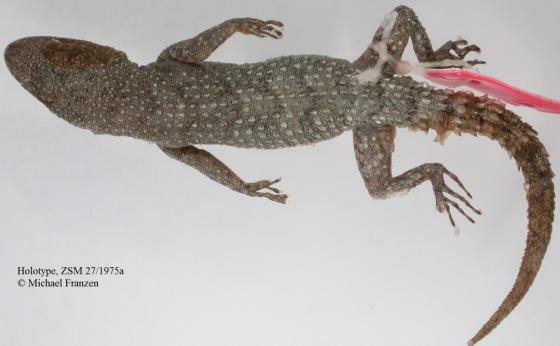 Cyrtodactylus kotschyi - Ägäischer Bogenfingergecko. In: Böhme,W. (ed. ), Handbuch der Reptilien und Amphibien Europas, Band 1, Echsen 1. Akademische Verlagsgesellschaft, Wiesbaden, pp. 53-74. Rösler, H. 1994. Eine neue Unterart von Cyrtopodion (Mediodactylus) kotschyi (STEINDACHNER, 1879 aus der Türkei (Reptilia: Sauria: Gekkonidae). Zool. Abh. Mus. Tierk. Dresden, 48 (5): 95-101. Stèpànek, O. 1934. Sur l’herpétologie de l’île de Créte. Sbornik Zoologicke Oddeleni Nàrodniho Musea v Praze, 1:7-10. Stèpànek, O. 1937. Gymnodactylus kotschyi Steindachner und sein Rassenkreis. Archiv für Naturgeschichte, Zeitschrift für Systematische Zoologie, Leipzig, 6:258—280. Stèpànek, O. 1939. Gymnodactylus kotschyi kalypsae n. subsp. Vèstnik Ceskoslovenské Zoologické Spolecnosti v Praze, 6-7: 431—435. Wettstein, O. 1952. Dreizehn neue Reptilienrassen von den Ägäischen Inseln. Anzeiger der Mathematisch-Naturwissenschaftliche Klasse, Österreichische Akademie der Wissenschaften, Wien, 89:251—256.